At an impressively young age, John Fryer already had his name on the sleeves of some of the most influential records of the past 30 years by artists like Depeche Mode, Cocteau Twins, Fad Gadget, and solo projects by Wire members Graham Lewis and Bruce Gilbert. Then, in 1984, he found himself one of just two constant members of the legendary 4AD collective This Mortal Coil, whose Song To The Siren has been described by David Lynch as being high on my list of all time most beautiful songs (the director tried for years to get it into one of his films and finally succeeded with 1997′s Lost Highway). It was in those days, working out of Blackwing Studios, South London, recording and producing other peoples songs, that John began following the noise in his own head. While working on albums that are now considered to be genre- and era-defining recordings, he started formulating his own project. Ideas expanded and multiplied until they spilled out from between the seams in his head, though it would take years for him to bring them fully to life. Over the years, as John moved from project to project, he carried these songs with him. While putting his indelible signature on This Mortal Coils records (and nearly every other seminal 4AD records release, as well), Nine Inch Nails Pretty Hate Machine, the biggest albums from Jesus Jones and Love & Rockets, Cradle of Filth and HIMs Razorblade Romance, he was also perfecting the sonically powerful arrangements of his own tracks. Then, in 2010, he at last found the final element he needed. John had always imagined finding a female vocalist for these songs, but not just anyone. Having worked with Cocteau Twin Elizabeth Fraser, Sarah McLachlan, Kristin Hersh, Jarboe, Diamanda Galas, and Allison Moyet (to name but a few), he had extremely high standards. Her voice had to be ethereal and delicate but it also had to be emotive, powerful, and heartbreaking. After announcing on Facebook that he was looking for a singer, John almost instantly connected with Rebecca Coseboom who, strangely enough, he had also heard about from an old friend of his wife, Hanna. The triangle of fate was sealed. . Shortly after their online meeting, they began sending emails and files back and forth between Oslo, Norway and San Francisco, USA. In late 2010, the two holed up in the studio to finally add vocals to the tracks that John had been refining for years. 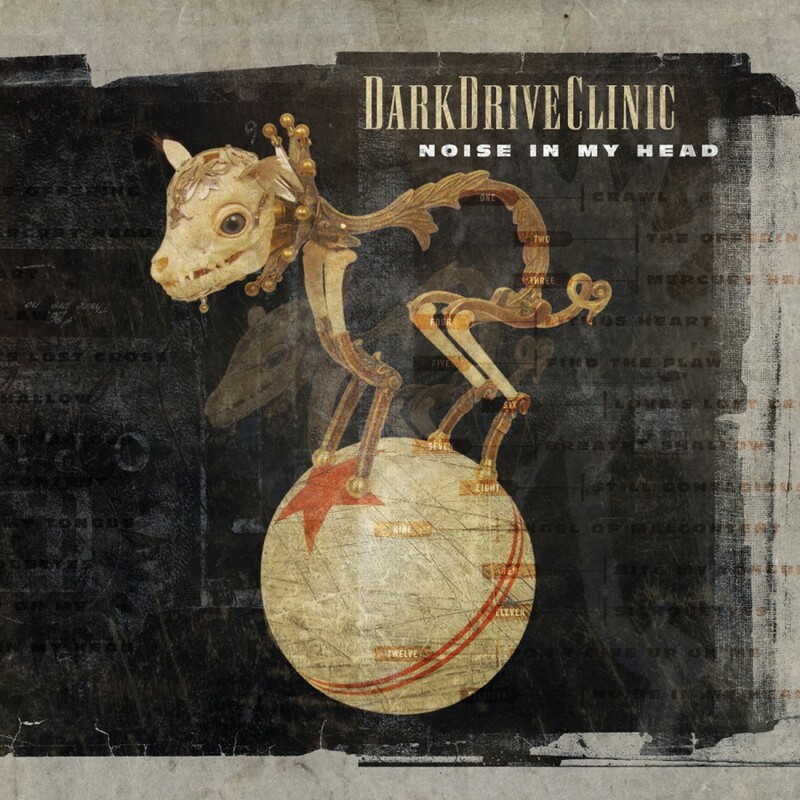 What resulted is the first DarkDriveClinic album, Noise In My Head, to be released in October 2011.